This week, the What I Learnt From... series continues with Julie Stock sharing her experiences as an indie-author. Julie and I were Twitter-friends for a couple of years before meeting in real life at the RNA Conference in Lancaster in July last year. One of the things I always enjoy about Julie's blogs and interviews is her openness and honesty, which provide so much support as well as information to fellow-writers. When I started writing my first novel, From Here to Nashville, I was 48 years old. I knew from very early on that I would choose to publish independently because I wanted to make sure it was published before my 50th birthday and traditional publishers just don’t work that quickly. So I spent a lot of time learning about the indie publishing process and by the time I came to publish my book, I actually found the whole process quite straightforward. It had been a steep learning curve, learning about editing and proofreading, as well as cover design, and the publication process itself but I found that I really enjoyed it. I particularly enjoyed having the control over every aspect of the publishing process. However, by the time my second book was ready to publish, I made the decision to try for a traditional contract. This was for two reasons: firstly, with the benefit of some experience, I could see that I would learn a lot from having my own editor within a publishing company, and secondly, if I was with the right publisher, I might also gain a lot of support with marketing, which might in turn, lead to more sales. But as I went through a year-long process of submitting to agents and publishers, I slowly came to realise that the traditional model is just not for me. I realised that I had come to relish the freedom I had with indie publishing and that I didn’t want to lose that control. I found that many agents and publishers were asking me to write books for the market and I finally had to admit that I simply didn’t want to do that. And I was getting conflicting reviews from different people: some of them loved my writing, while others hated it. So how would I ever know who was right? In the end, I had to make a very hard decision. The benefits could still be there for me if I wanted to persevere with submissions to agents and publishers but I would also lose all control over what I wanted to do, and on top of that, I had no idea how much longer I would have to persevere for. 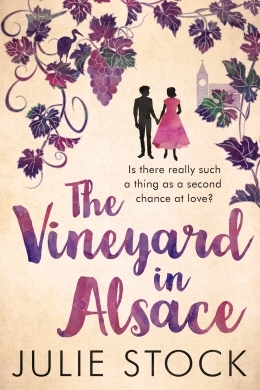 In the end, I made the decision to publish independently once again and I’m happy to say that my second book, The Vineyard in Alsace, has done even better than the first. I may not ever sell in the tens of thousands but I am making a decent living from my writing, and that’s all I’m looking for. So I don’t regret the decision to indie publish again for one second; nor do I regret the year I spent trying for a traditional contract. It has all made me realise that publishing independently suits me and my goals, and that it is the best choice for me. That’s not to put traditional contracts down – it’s just being honest about what works for me. I am happy doing what I’m doing and while it works for me, I’m going to carry on doing it. I think that every writer has to decide on what success looks like to them and then pursue it in that form. And for me, at this stage in my life, indie publishing suits me best. Julie Stock is an author of contemporary romance from around the world: novels, novellas and short stories. She indie published her debut novel, From Here to Nashville, in February 2015 and published her second novel, The Vineyard in Alsace earlier this year. A follow-up novella to From Here to Nashville is also in progress, as well as the next novel. She blogs regularly on her website, 'My Indie Writing Life.' You can also connect with her on Twitter and via her Facebook Author Page. She is a proud member of the Romantic Novelists' Association, The Society of Authors and The Alliance of Independent Authors. 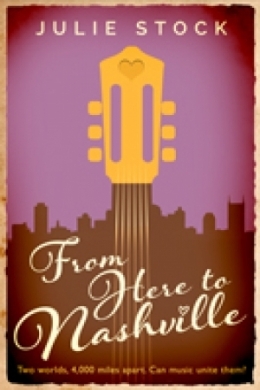 This weekend, Julie's debut novel, From Here to Nashville, is free on Kindle Unlimited or 99p to buy. Here's the link. Happy reading! Thanks for your kind words, Jen. Julie has worked hard for her success and she is always happy to share her insights with others. Hello, Rae. I think you are right - Julie has certainly found her niche and she is a great ambassador for indie publishing. Thanks for commenting. Thank you for reading my post and for leaving a comment. I'm glad you found it useful :) You can pick my brain any time! Kirsten, thanks for dropping by. I'm pleased you found Julie's post interesting. It's great to think of the various options that are open to authors these days. Hi, Tara. Glad you enjoyed Julie's blog. I know Julie went through a steep learning curve with From Here to Nashville. She has always been generous about sharing her knowledge and experiences with others. Good luck with finishing your novel. I think it’s brilliant we have more than one option these days, especially one that Julie makes sound relatively easy. I’d definitely consider self-publishing, if I ever finish mine! Such an interesting post, thanks for sharing. Thanks for reading, Jan and for your kind words. There's no doubt that it's hard to self-publish but the rewards can be good too if you're prepared to work at it. I totally understand your worries about it though and wish you all the very best with your chosen traditional route. I hope to hear all about it very soon! Thanks so much for having me on your blog again, Sue, I really appreciate it and you always have such good themes - it really makes me think! Thanks for reading, Wendy. I'm sure you already have enough experience to self-publish your novels very successfully. Good luck! This is such an interesting post. I’m always impressed by writers who can self-publish successfully as you have, Julie. Being in control of every stage is a very attractive one but I don’t know if I’d ever have the confidence or expertise to be able to do it. I’m trying the traditional route, without success at the moment, and as you say it’s taking a very long time. Congratulations on the success of your two books and good luck with your new titles. Thank you, Susanna, for this series. I hope you found Julie's blog useful, Wendy. She is a mine of information. I know you have already ventured into the world of indie-publishing with your books of short stories. Thanks for visiting my blog. PS I'm glad your comment worked this week - unlike last week with Kirsten's guest blog. 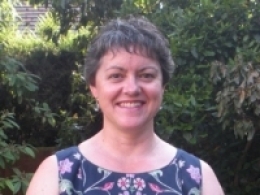 Lovely to read about your experiences with self-publishing, Julie. With two novels written, I may one day choose that route myself.